It’s Monday, May 13th. No, I’m not superstitious, as this blog was launched on a 13th (December), and since it is a new week, I’m launching a new series here on the blog. The series is open for all travel bloggers who want to submit an unforgettable travel experience they had – along with one or more photos. You are invited to describe an unforgettable experience from your travels – it can be really anything from a sunset or sunrise that was special to you to an adventure you’ve experienced, a museum/statue/person etc. you saw, an event you’ve attended and so on. A travel memory presented in as many words as you need plus a photo. Please send the articles via email at loredana at prwave.ro or violeta.loredana at gmail dot com. I will include a link to your blog, Twitter profile and Facebook page, of course. I am very happy to say that I already received some positive answers to this series from really wonderful travel bloggers (I pitched them the topic last week, when I though about this series). 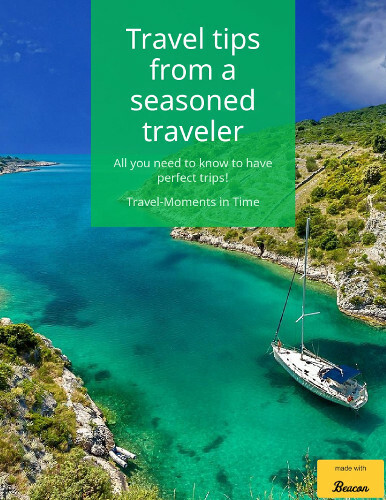 I am looking forward to receiving and publishing your unforgettable travel experiences and special travel moments! Awesome! I cannot wait to receive your article and publish it, Silvia! So much for not being obvious you are being watched!